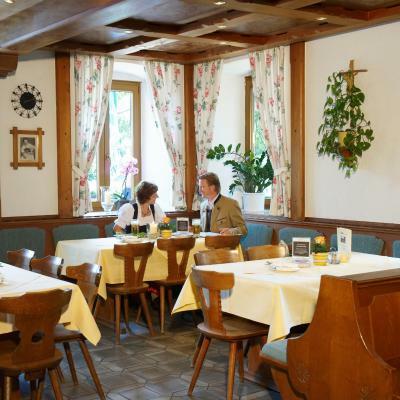 Lock in a great price for Hotel-Gasthof Huber – rated 8.6 by recent guests! 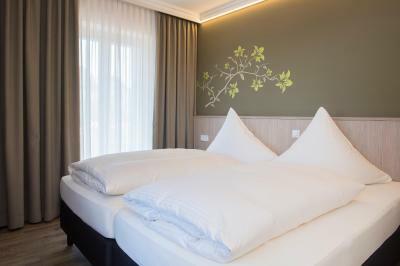 Perfect for our stay, great restaurant, lovely stuff, new and clean rooms, and even a little playground. Beautiful hotel, awesome view from the balcony, very close to Ebersberg. 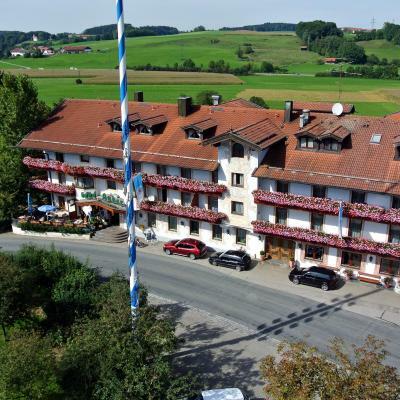 Charming Bavarian style hotel nestled off of Highway 304. The staff was nice enough to call and let us know how to get our key after the front desk closed. We had little to no problems. Kind personell, clean, good food. Close to P&R train station. 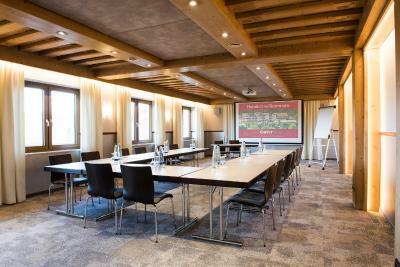 Good location, the hotel was clean and well set out with good facilities. Staff were friendly and helpful. Lovely traditional style hotel. Comfortable room with very good shower room. Nice balcony with a view. 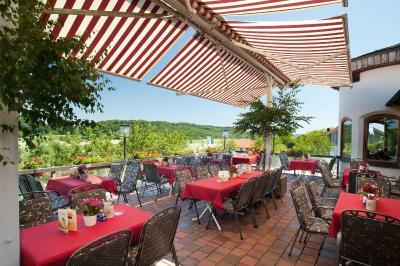 Good restaurant with several eating areas and large terrace overlooking valley. Das Frühstück war sehr gut und das Bett bequem alles im allen keine Beanstandung. Es waren viele Feiern im Hotel aber im Zimmer hat man nichts mitbekommen, Super war ein schöner Urlaub. 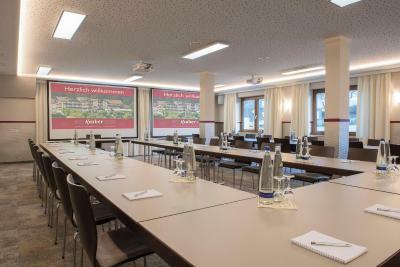 Hotel-Gasthof Huber This rating is a reflection of how the property compares to the industry standard when it comes to price, facilities and services available. It's based on a self-evaluation by the property. Use this rating to help choose your stay! The bedrooms feature classic décor and are equipped with a TV, a balcony, and wireless hotspots are available. 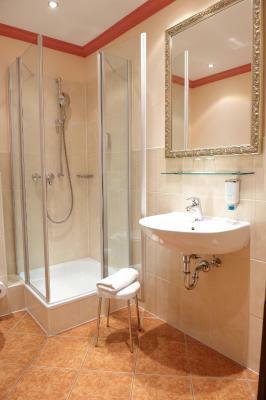 Bathrooms are en-suite and come with a hairdryer and complimentary toiletries. 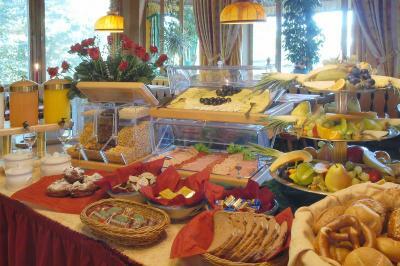 A buffet-style breakfast is served every morning, and guests can choose to have breakfastin their rooms. 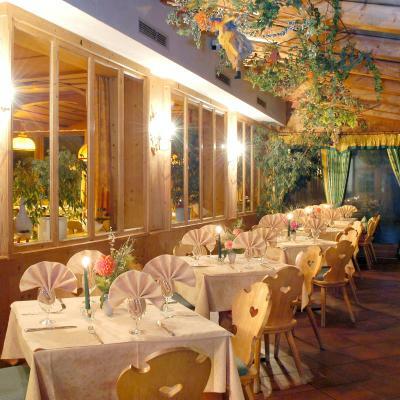 The hotel’s restaurant serves traditional Bavarian cuisine as well as local specialties. Ebersberg and the surrounding area of Oberndorf is popular with cyclists and there are a variety of bike routes nearby. There are 3 golf courses within 2.5 mi from the hotel and the Egglburger Lake is 2.3 mi away. Free parking is available on site and there is safe storage for bicycles and motorbikes. Ebersberg Train Station can be reached in 5 minutes by car, with direct connections to Munich. This property is also rated for the best value in Ebersberg! Guests are getting more for their money when compared to other properties in this city. 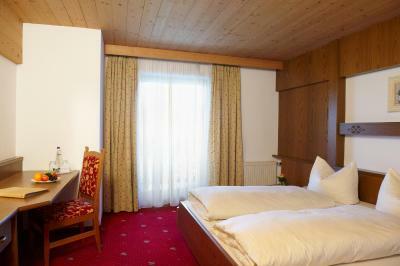 When would you like to stay at Hotel-Gasthof Huber? This room features classic décor and is equipped with a TV, a balcony, and an private bathroom. 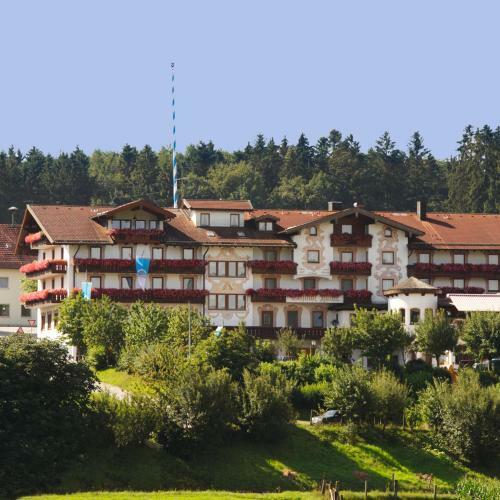 House Rules Hotel-Gasthof Huber takes special requests – add in the next step! Hotel-Gasthof Huber accepts these cards and reserves the right to temporarily hold an amount prior to arrival. Please note that on Tuesdays you can only check in between 17:00 and 19:00. If you expect to arrive outside these times, please inform Hotel-Gasthof Huber in advance. booking.com did not show that Gasthof Huber is closed on Tuesday's (Ruhetag), so no restaurant and key had to be picked up before 8pm. Room was facing main road. Super-Noisy train. Bathroom in need of renovation. Breakfast and restaurant were good. Excellent food. Ample parking. Nice surroundings. Everything!!! Would definitely go again! No A/C in the rooms, this would have been more comfortable with the hot weather we experienced during our visit. The breakfast buffet didn't have natural yoghurt or brown/seeded rolls and the Muesli was sweetened. Not a complaint as such just personal preferences! Surprised about the yoghurt though.